Meli Apartments and Villas, are a unique holiday accommodation for anyone who wants to experience the Mediterranean lifestyle, the Mediterranean cuisine, the Mediterranean culture. At Kiveri village, a Greek, seaside, traditional village, just a few kilometers from the town of Nafplio and Argos, right on the sea, our guests have the opportunity to relax in a friendly environment, enjoying the magnificent views of Argolis Gulf and the blue Mediterranean waters, swimming in a small private beach in front of the apartments.Due to apartments prime location, our visitors have the opportunity to visit the famous archaeological sites of Mycenae, Ancient Tiryns, and the ancient theatre of Epidaurus, world-renowned for its acoustics. All apartments have their own balcony with amazing sea view. The stairs of the apartments lead directly to the small beach in front of the apartments. Although the beach is rocky, the tenants have the opportunity to enjoy a swimming at any time of the day. 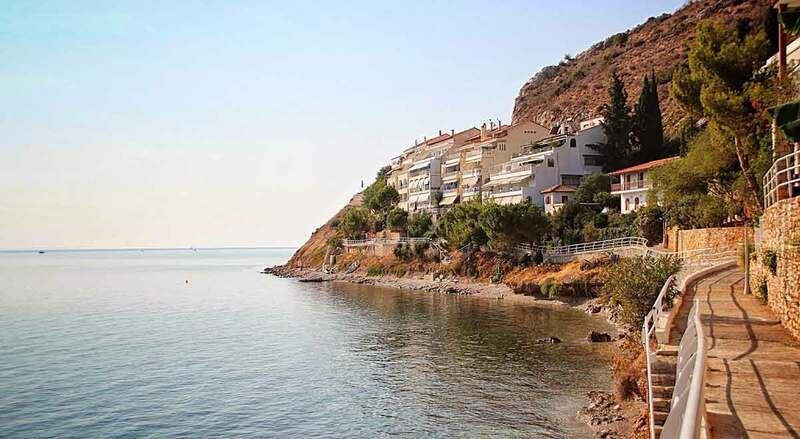 A quiet coastal path in front of the apartments leads through the village Kiveri, ensuring access to the restaurants and shops of Kiveri, located at a distance of 200 meters up to 800 meters.In the communal area of the complex there is a communal barbecue for Apartment guests. Parking on the street right next to the apartments offer direct access to them. The complex consist of One bedroom apartments, Studio apartments and Loft apartment that can be rent either for short term or on a seasonal-annual basis. Fully furnished, 30m2, Studios. Suitable for 2 Guests. Fully furnished, 45m2, One bedroom apartments. Ideal for up to 4 Guests. Holiday Loft Apartment, 85m2, two bedrooms. Ideal for up to 5 Guests. Book your accommodation with us Today! We guarantee for an amazing stay!